Did you get a bunch of new toys for Christmas and over the holidays? If you want to keep them charged up and organized, check out the sale on the AUKEY 5-port USB charging station, as it’s on sale for today only as part of a Lightning Deal. The discounted price is 21% off at $21.99, making it the lowest price ever for the product. This charging station has 2.4A per port with total 50W/10A output, while also includes AUKEY’s “AiPower Adaptive Charging Technology”, which safely recharges all of your iOS devices and more, on top of its built-in safeguards to prevent excessive current, overheating, and overcharging. A great device to take with you while travelling, or to have at the office to charge all of your devices from one unit, saving you the need to hunt for outlets. This sale goes until 6:10PM PST today or until the deal is 100% claimed. 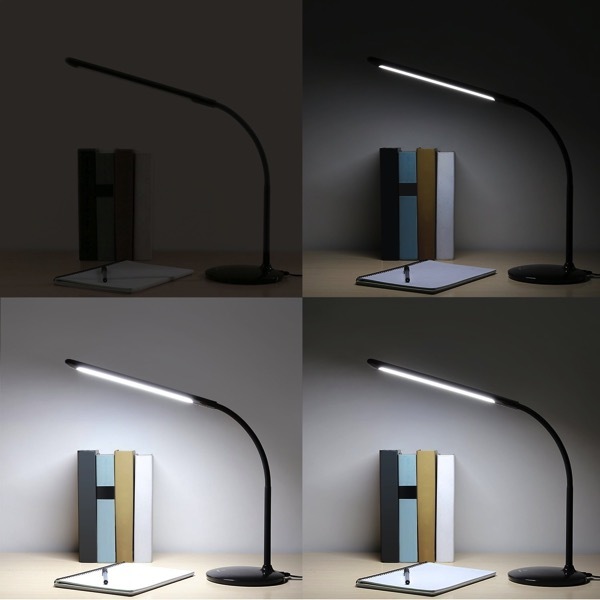 Meanwhile, another sale which launched today is also available for the AUKEY Desk Lamp, which has touch-sensitive controls and three levels of brightness, available for $21.59 after the 20% off coupon AUKLTST1 (coupon expires January 31, 2018). Apple ID Verification May Soon Be Required to Check Warranty Coverage?